The first lady Melania Trump sheds light at what keeps her son Barron busy. 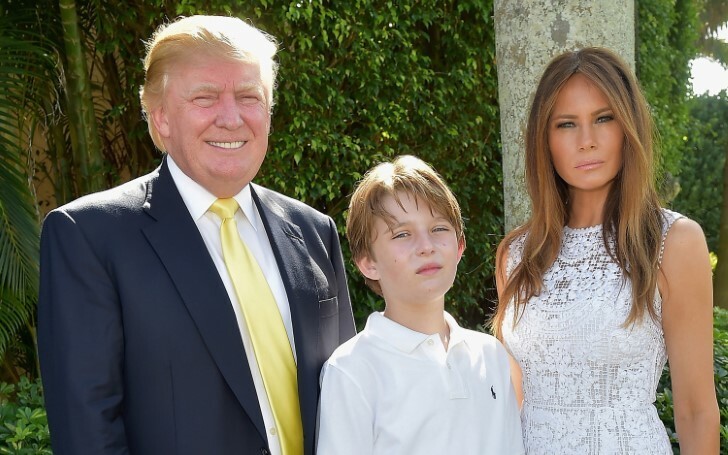 The less known 11-year-old son of the first lady Melania Trump and Donald Trump is reportedly interested in sports. Last week Melania Trump was at Liberty University to raise awareness about opioid epidemic as a part of her "Be Best" initiative. While speaking at the forum she shared a few details about her family in the white house. In her speech, Melania shared that she has spoken to Barron about the dangers of drug addiction. Usually guarded about all things related to Barron, on that particular day Melanie, however, revealed that her son was into sports rather than social media. "I teach him what is right, what is wrong. He doesn't have a social media yet – he's not interested in it. He's all into sport." Trump's inclination towards sports was praised by D.C. players in the first place. They were invited to the white house to meet him. The forward player Patrick Mullins praised his knowledge about football after having a conversation with him. 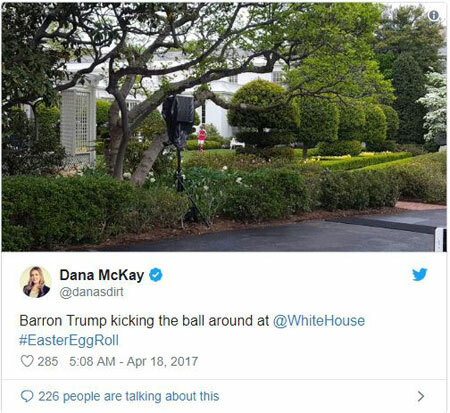 As pictured on the White House South Lawn during the annual Easter Egg Roll in Washington D.C. on Monday, president Donald Trump's son was sporting Arsenal’s distinctive red-and-white kit for a kick-around. In light of that, it’s not hard to believe that Arsenal is the first-choice club for him.